As a Mac user I do not usually worry about things like drivers, but recently I took an interest after experiencing issues with my discrete graphic card. With the latest release from Drupal also including the latest security fixes, it was time to update again. One issue that experienced Drupal developers are probably quite used to by now are the continual stream of security advisories that need to be addressed, especially if you are managing a site that also includes peoples data. This means regularly maintaining your site to ensure it is kept up to date and secure. In todays online world, the digital landscape has changed much since the early inception of the web. Since the dot com boom in the early 90's we have seen companies online strategies evolve aswell. Do you have a need for finding out what is taking up all the room on your server? Do you want to figure out what is eating up all your disk space. Of course there are different ways of doing this, for example the ls command. What does a HTML Developer do? Ever seen these kind of job roles advertised after doing a search for html developer? 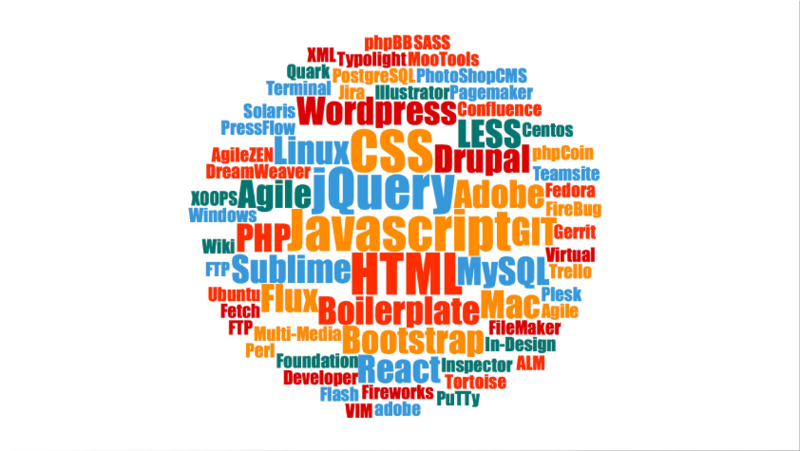 Read more about What does a HTML Developer do? Thought I would share this free online tool I stumbled on that helps you generate your own word cloud. Heres a link to wordcloud's gallery. Why not create you own and share your work here. If you have an iOS device and you like to shuffle their Music collection, then you may be wondering "where did the shuffle option go?". Well it turns out that this feature still exists but activating it can be a bit hard to find. If you have a website the chances are you probably have some images or photos to break up your text or help to convey a message or story etc. Well if your website has been created fairly recently, chances are that your site responds to different viewports. I recently ended up running Windows on my Mac via bootcamp to run various titles that I had purchased from steam that did not run natively on my Mac. I had previously managed to run similar titles on my Mac and discovered I was able to use my PS3 controller(s) via bluetooth fairly easily, however getting the PS3 Controller to not just show up but available for use seemed to be a lot more difficult for Windows.